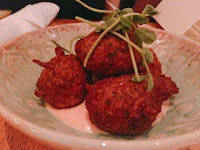 With all the accolades Bar Isabel and Bar Raval have racked up, don't be mistaken, Bar Reyna is not part of the fold. 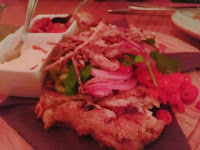 While the prior restaurants are known for their excellent sharing plates, I’d consider Bar Reyna edible at best. The mini empanadas ($6) should really just be called puff pastry triangles … the chorizo filling described on the menu was non-existent. 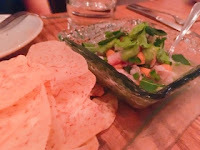 Similarly, the sea bass ceviche ($15) lacked fish but incorporated so much sweet potato. Its most prominent flavour was citrus - somehow it drown out the red onion, mint, and jalapeno – with a hits you at the back of your throat level of acidity. On weekdays from 4-7pm they offer a selection of drinks and small plates for $7. The white wine, a decent sized glass of Thalia Sauvignon Blanc, is a steal. 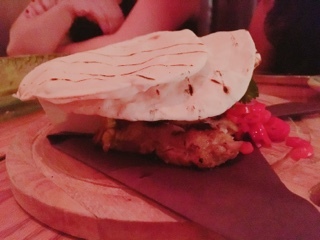 The food, on the other hand … well you get what you pay for. 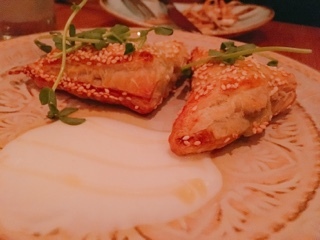 The spinach and feta borek, the Turkish version of spanakopita, is really the famous Greek pastry without any garlic or herbs - basically the ingredients that make it delicious. 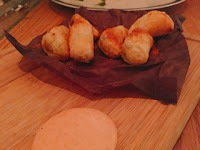 Like the empanadas, the zucchini fritters simply tasted like crispy dough, it seriously needed more squash. 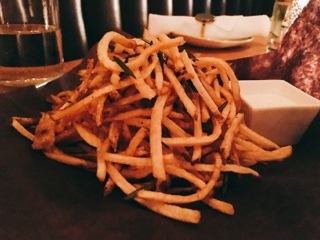 Of the specials, their French fries were the best, but much too thin if you’re not actually pairing it with steak. On the bright side, the one dish of fries seemed to last a lifetime and the yoghurt dip was quite tasty. To be fair, not all the food was bad. The chicken shawarma ($30) incorporated large chunks of juicy chicken breast and tons of fixings (bird's eye chili, various pickles, crispy onions, cherry tomato salsa, and a lackluster tahini). The grilled soft doughy house made flatbreads were nice but we definitely needed more than three – why they’re served as an odd number is strange; after all, most tables consist of two or four people, so the three wraps is difficult to split. 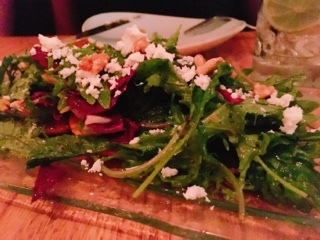 The most surprising dish was the persimmon Greek salad ($10). I’m normally impressed with salad, but it was such a great idea to grill the sweet fruit and serve it warm with radicchio and kale. The poppy seed dressing was well balanced and the light feta as creamy as goat’s cheese. Maybe I’m being too hard on Bar Reyna. For its swanky Cumberland address, the restaurant’s prices are affordable and you’re not scared to place another order. Too bad their food just isn’t that good. Oh well, maybe the few more you order is just another $7 glass of wine.